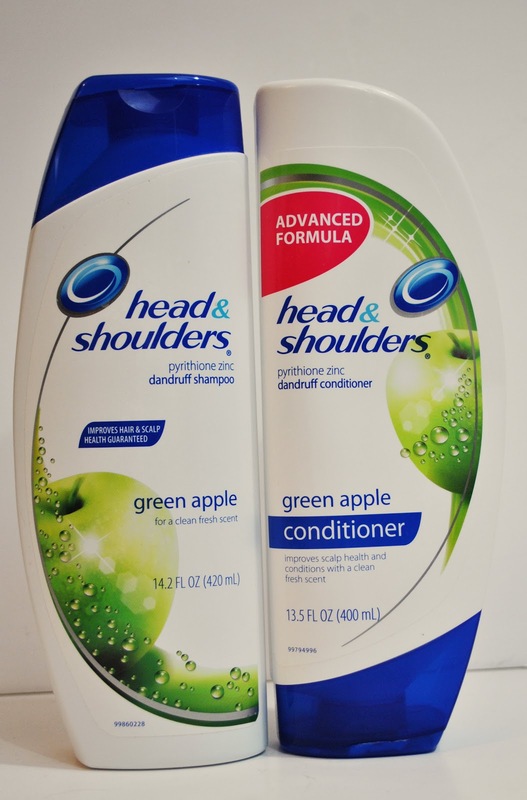 Easie Peasie Co: NEW REVIEW -- the Head & Shoulders APPLE product line -- and a $50 Visa giftcard giveaway! Hello friends! Remember my review of the new Head & Shoulders Itchy Scalp Care products in November? I fell in love with their new products and have been a Head & Shoulders fan ever since. Well guess what? I was lucky enough to do another review of another set of the new shampoo and conditioner line. Yay! 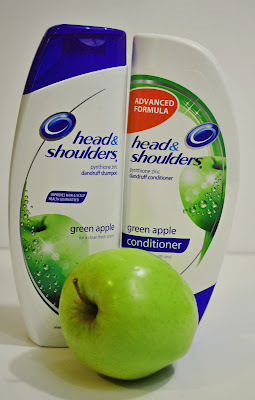 This time I was able to use and review the Head & Shoulders Green Apple Care product. And guess what? Now I’m at a total standstill. I’m smitten with my minty goodness Itchy Scalp Care pair, but the Green Apple Care has swept me off of my feet! The best part of using the Head & Shoulders Apple Care duo is I am able to maintain virtually flake-free, beautiful hair. Hello pretty hair. Goodbye embarrassing flakes and dandruff. In addition to its flake free results, it smells super DELISH. I am 110% sold on hair products by performance, but right up there is the SMELL or FRAGRANCE. Yes, I am that lady in the hair care aisle, smelling the goods before I buy them. When you look at this what do you smell? Exactly. 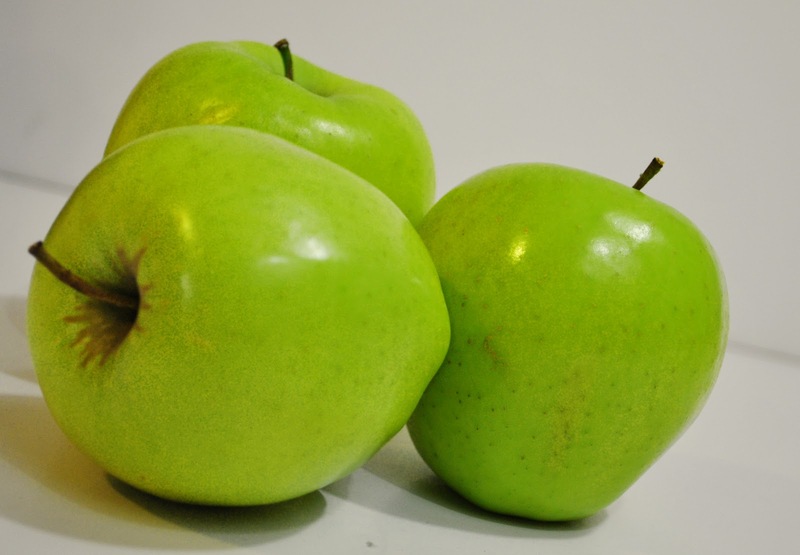 Fresh green apples. The new Head & Shoulders Green Apple shampoo and conditioner smells just like this. Beyond leaving behind a clean scalp, the foundation for great looking hair, Head & Shoulders’ new collection goes one step further to excite and indulge your senses with fresh, naturally inspired green apple fragrance. Apple-smelling hair all day will make this Mamma smile! The conditioner is thick, creamy and wonderful. Once again, this is a MUST for this Mamma. My long, coarse textured hair needs thick creamy goodness for moisture and conditioning. Using the Head & Shoulders Apple Care duo makes obtaining beautiful hair even easier. 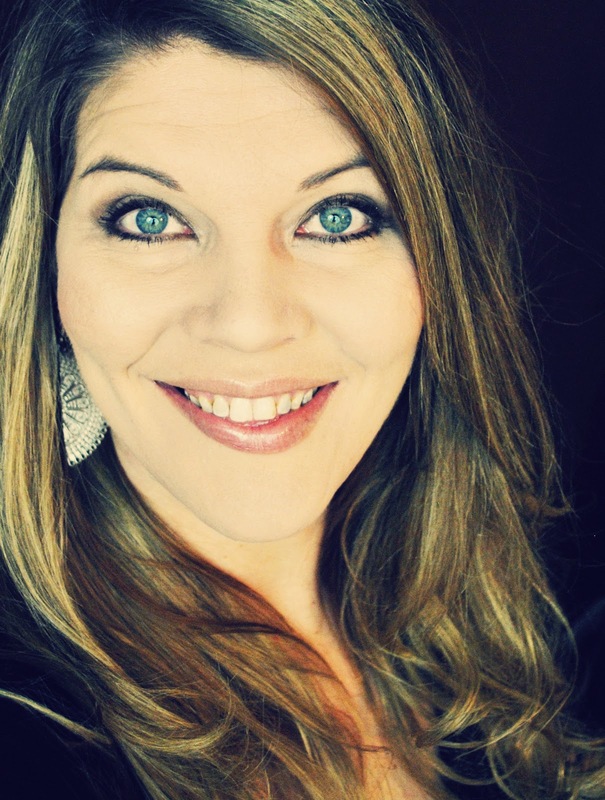 It’s a simple change in your hair care routine, with big results. Like you, I’m running around keeping our world going with photo shoots, homework, making dinner, cleaning house and everything in between. I need something simple yet effective to maintain gorgeous, flake-free hair. I can add the Head & Shoulders Apple Care product to my grocery shopping list, and I’m set to go for salon gorgeous hair at home! And it is gentle and pH balanced for everyday use even on color treated or permed hair. You can make the simple change too! Grab a new duo of the Head & Shoulders Apple Care on your next trip to the grocery store and see big results. Pretty hair = a very happy Mamma! So ladies, tell me, what scents make you feel beautiful and fresh? Leave me a comment to be entered for a chance to win a $50 Visa gift card. Citrus scents make me feel fresh. I like fruity scents or vanilla. Apple scented Head and Shoulders! Oh I love that scent! Vanilla scents make me feel beautiful and fresh! I actually really like the Head and Shoulders scent... I always get a lot of compliments on it! Any citrus scent! I also have a soft spot for cucumber scent. Fruity scents make me feel beautiful and fresh. I love apples and citrus! Heavenly perfume by Victoria's Secret! I love vanilla scents and apple scents. Keeps me feeling refreshed and happy. fRUTIY SCENTS SUCH as peach makes me feel of so beautiful! Thanks for a super giveaway! I like ocean scents and florals. Because of your comments about Head & Shoulders MINT I went out and bought it and tried for myself! LOVE IT :) I'm sure I would love this one too! A big drink of fresh, cold water! Just the feeling of being clean and smelling good. sweet pea and vanilla makes me feel and smell clean and fresh!! thank you! Lilac fragrances makes me feel fresh and beautiful like a spring day. I'd love to see something mixed between those (as a perfume or even a shampoo)!! 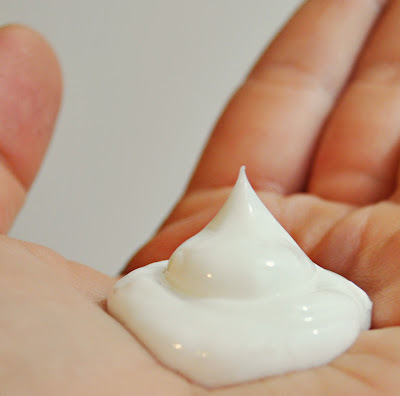 exotic coconut lotion from bath and body works….smells quite lovely! Citrus scents make me feel beautiful and fresh. I love apples and lemons. I like mint, it makes me feel fresh and gives me energy. I like floral scents. They make me feel fresh. Thanks for the review and giveaway! I love a coconut scent! I love a green tea scent. I love citrus scents and peach! Tangerine makes me feel fresh and happy! I love lemon and orange ...lime...any citrus makes me feel alive! Cucumber melon makes me fresh and wonderful. I like fresh and clean scents like cucumber. Especially love fruity, clean scents...so I can't wait to buy this today!! I love jasmine and lavender. The scent of lily of the valley makes me feel beautiful and fresh. this blog have some latest information about head and shoulders.Thanks for sharing it! !